Montu saw something usual while he was walking back home. He simply shook his head, made a wry face and continued walking. Walking for few steps, his insides suddenly quivered leading him to take a walk back where he had saw a group of people devouring some road side foodstuff. He stood there as one of them rolled the paper dish into a ball and threw it aside to a corner near near the boundary wall of a building. He swiftly took it in his hands and threw it in the dustbin placed near the stall. He then urged the group to keep their surroundings clean and cultivate a habit to raise their voice for their betterment and make a notable difference in our surroundings. 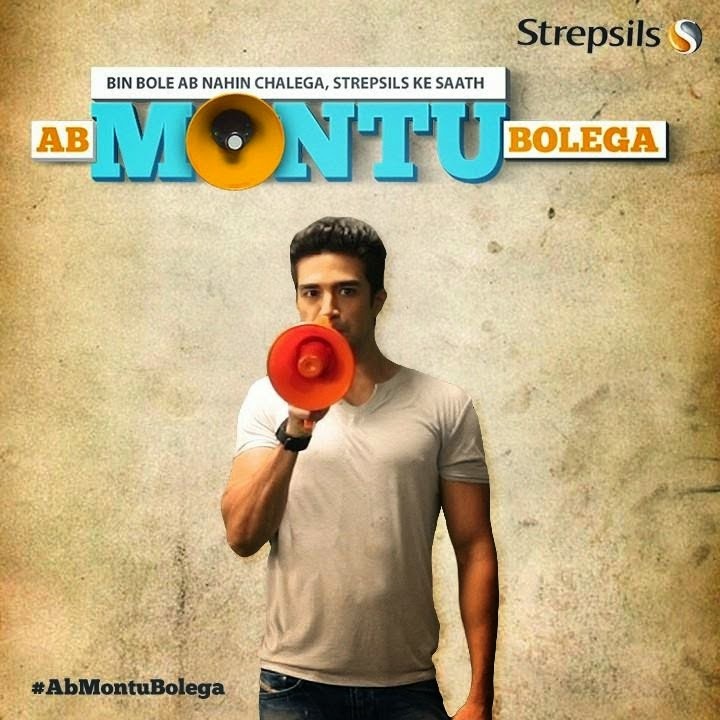 As a global leader in consumer health and hygeine, RB (formerly known as Reckitt Benckiser), has launched a new campaign in tune with its social responsibility on Strepsils “Ab Montu Bolega“. It is a digital campaign which resides on an exclusive online platform www.abmontubolega.com that encourages people to speak their minds and not to be a silent spectator. Bollywood actor Saqib Salim of Mere Dad Ki Maruti and Hawa Hawaii fame has been roped in to gave Montu a face that could speak up without any inhibitions. The campaign creatively shows his journey in an interesting way where he speaks his mind without any fears and possesses enough courage to stand up and speak on issues that concern the youth as well as modern and constantly changing India. And in this journey, Strepsils gives him that much needed voice of courage to speak up and be heard on issues that concern the welfare of the people and society by large. The basic aim of the campaign is to allow people to let their voices be heard in support of what they think is right. The campaign provides a sort of a boost to the Bharat Swaach Abhiyan that is initiated by the Hon. Prime Minister of our country. And now it is up to us to not let such initiatives and this campaign lie down for a sad demise but instead it is high time to stand up and let the power of our voices be heard for a clean India. So are you game to be a part of this campaign and give Montu a much needed show of Power of Voice to Clean India? Below is the video of the Ab Montu Bolega campaign.